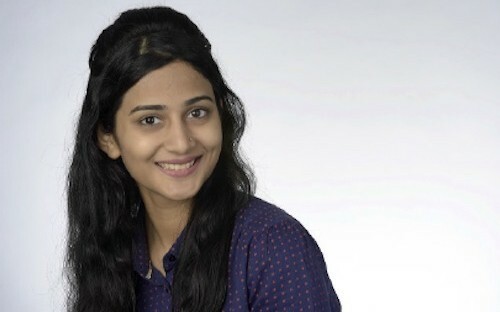 Yashasvi Nahata landed a top consulting job at Bayer in Germany after completing her full-time MBA studies at China Europe International Business School (CEIBS) – ranked the 11th best MBA program in the world by the Financial Times. Originally from India, Yashasvi trained as a mechanical engineer and worked for two years before relocating to China for an MBA at CEIBS. She joined on a Young Talent Merit Scholarship as one of the youngest in the class. CEIBS’ 18-month MBA costs around $58,000, a fraction of the cost of similarly-ranked MBA programs in the US. CEIBS offers applicants more than 70 merit-based scholarships worth over $2 million. It’s also partnered with Prodigy Finance – a provider of international post-graduate loans founded by MBAs. At CEIBS, Yashasvi was part of an MBA class of 195 students representing 27 different nationalities. She took an exchange semester at INSEAD and secured a summer consulting internship at Bayer in Shanghai. She got introduced to Bayer through CEIBS’ 19,000 strong alumni network and made the fabled MBA triple jump – changing country, industry, and role – into a full-time job. Yashasvi’s only just graduated, but she’s already been working as an in-house consultant for the multinational pharma firm for two months. It’s her first time working in Europe. Having worked for two years in India, I wanted to gain international experience. I knew that a big career jump would require an advanced degree. So, I thought it was the right time to do an MBA. CEIBS gave the opportunity to understand Asia, which is a huge value addition given the potential Asian markets hold for the future. I chose CEIBS over other business schools because the return on Investment is among the best. Plus, the smaller cohort would enable me to make more meaningful relationships. My advice would be to have your top three post-MBA roles clearly defined and to focus on building your profile for those roles during the MBA. You cannot do it all and it’s easy to get lost. Think about whether the school you apply to can offer the opportunities which will lead you to your post-MBA goals. How have you profited from your MBA experience at CEIBS? In every way, it has been a huge value addition for me. Before the MBA, I had only worked in junior positions. The MBA was a real eye-opener regarding how big decisions in business are made. It provided me with skills to expand my worldly understanding and business understanding as well. I also made friends at CEIBS – the type that you can call up at 2AM without hesitation - who I will forever cherish. Would you be where you are now without it? I started the MBA with only two years’ prior work experience. So, I would definitely not be in the position that I am now without it. I was actually referred to Bayer by a CEIBS alum. The various international exchange programs on offer at CEIBS are great platforms to look for jobs internationally. How are you applying your MBA learnings in your current role? I’m rigorously applying both the hard and soft skills I picked up during the MBA for my current role. Moreover, being in Germany, I am required to adapt to the German culture. The MBA taught me a lot about adapting to the culture in China. Now, I can use the same thought frameworks to adapt to life in Germany. What advice do you have for MBA grads looking to work in consulting? My advice is: prepare, prepare, prepare! Be completely sure if consulting is really for you. The charm on the outside amounts to a hard lifestyle with long working hours and high pressure. I was focused on a career in consulting. So, along with the MBA learning, I worked a lot personally to gain consulting-specific skills. I used the MBA network to deepen my understanding of these skills. If you don't have previous consulting experience, preparation is even more essential. And it’s important to start preparing early, as consulting firms recruit early.